it's worth reading: why do we want our kids to read? Authors write with a purpose. 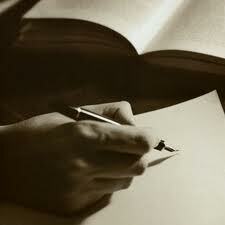 Some write to inform, to persuade or to entertain. The best writers usually aim to do at least two of these things. So, why do we read? Usually, we read to gather information, because it is assigned, or to be entertained. These common needs make the writer and readers a perfect match. The older our kids get, the more they are faced with reading as an assignment. Sometimes this allows them to collect information or satisfy a grade, but does this assigned work bring them any joy that they will admit? If I think back to my college years, I can regrettably confess that I read nothing for pleasure. Frankly, if a book besides a "classic" or a textbook was published from 1986-1992, it is news to me. Sadly, by the time a child has completed their matriculation, only the most unusual one is still reading for the pleasure he felt as a 7-8 year old as he proudly finished his first chapter book. As a mom I have been making up lost time. I read what my son reads, what I find appealing and anything that any one else suggests. Simply put, I love stories. I love facts. I love learning something new. I love discovering new things. So, to answer my own question, I want my son to read so that he will broaden his mind, deepen his sympathies and sharpen his perceptions. Every day an author helps me do one of those things. And, here is my cautionary tale--Don't let your memories of "assigned reading" color your child's experience. I just finished rereading The Great Gatsby by F. Scott Fitzgerald. If my son had asked me a week ago, I might have negatively advised him, simply by saying, "Yes, I read it, they made me read it in High School." Now, I will be able to say, "No wonder you get to read this in high school. It is a great look back into American history. It also succeeds in telling a fast-paced story of love, deception and murder." Now, this will not appeal to him at the moment, as it has no hint of an imaginary land, people, or activities, but by the time high school comes around, nothing will appeal to him more. What books did you muddle through in high school or college that your professors claimed were great? Consider giving one or two of these stories another try. And, If The Great Gatsby is on that list, pick it up first. It is as great as they claim.